The right hand end Nde I fragment 3 (90.8–100 map units) of the fowl adenovirus serotype 10 (FAV-10) was characterised so as to allow the location of an insertion site for recombinant vector construction. Infectious bursal disease virus (IBDV) VP2 gene from the Australian classical strain 002/73, under the control of the FAV-10 major late promoter/leader sequence (MLP/LS) was inserted into a unique Not I site that was generated at 99.5 map units. This recombinant virus was produced without deletion of any portion of the FAV-10 genome. 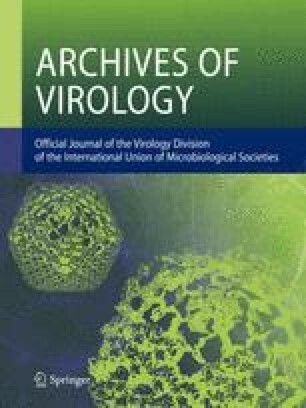 When administered to specific pathogen free (SPF) chickens intravenously, intraperitoneally, subcutaneously or intramuscularly, it was shown that the FAV-10/VP2 recombinant induced a serum VP2 antibody response and protected chickens against challenge with IBDV V877, an intermediate virulent classical strain. Birds were not protected when the recombinant was delivered via the conjunctival sac.